“Just because our headcount is now double-digit and we’ve enjoyed 6 years in operation, does not mean that we have declared success and roll with it. 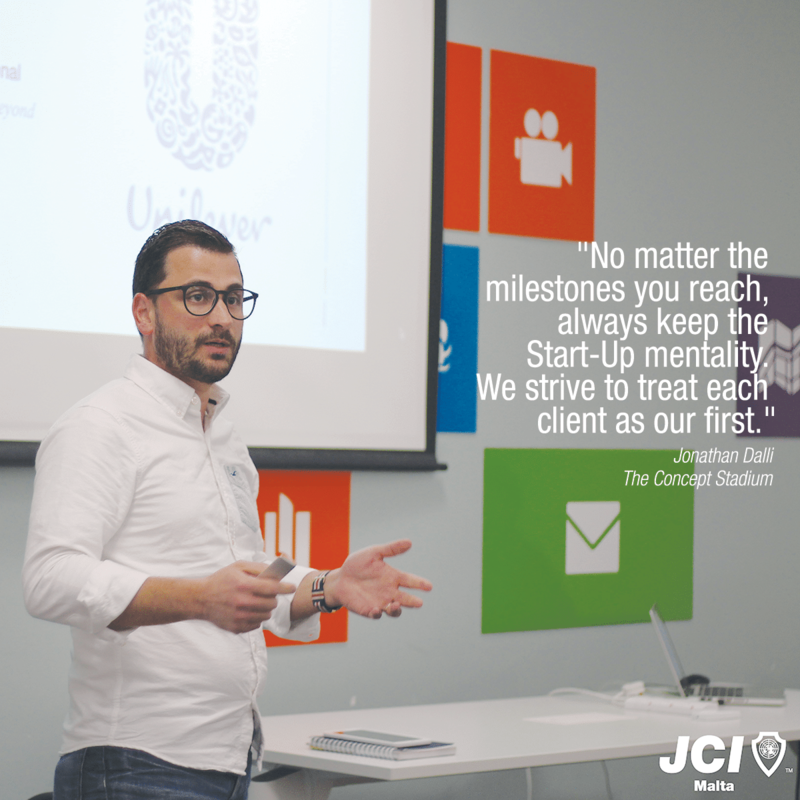 We still treat each client like our first and remind ourselves that without them on board, we would have no pay cheque at the end of the month”, this was Jonathan Dalli’s main message during the 2016 JCI Malta Hack It On Seminar as part of Global Entrepreneurship Week. He explained to a room-full of entrepreneurs about the importance of strategy and knowing what your strategy is. “For us, we knew that our prime focus was to remain boutique in our client approach, in that both Jonathan Chetcuti and myself are constantly in touch with the firm’s clients directly. We also have a transparent relationship with our clients; they trust that we’re here for the long-term and definitely not interested in short-term commissions. This is why we call ourselves a boutique marketing consultancy firm, and not an agency”. Strategy also comes from understanding and focusing on your unique abilities, fostering them and making them commercially viable. “In our case, we are striving towards establishing ourselves as Commercial Creatives”.